A generous donation was made by Mr and Mrs Joseph Orama in honor of our 12 year old Shih tzu Fredricka (Fred) who was diagnosed with mast cell tumors throughout her abdomen and liver. A generous donation was made by Wes Kidd in honor of My loving Chelsea. A generous donation was made by Ingrid Thompson in honor of My sheepies Winston and Sebastian. 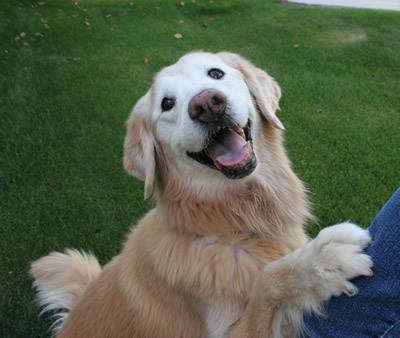 A generous donation was made by Anything’s Pawsible in honor of Beau, our beloved Golden. 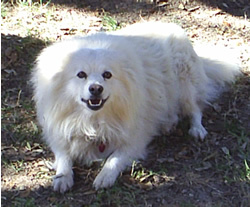 A generous donation was made by Susan Ferchak in memory of OWEN my Sheepie. A generous donation was made by Faye Lee in honor of our wonderful Border Terrier, Winston, who has been battling nasal squamous cell carcinoma for four years. A generous donation was made by Michele Brane in memory of Roxie, a wonder livestock guardian dog loved by Don and Miki Schrider. A generous donation was made by friends of the Stanton’s in loving memory of Bubba Stanton. A generous donation was made by Angie Jestila on behalf of Holly Perles. Read about Holly. A generous donation was made by Maria Cotter in memory of my beautiful basenji boy “Buddy”. Ch. 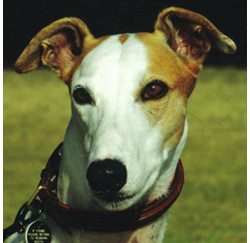 Windigo’s Sunfire of Kazanya November 1993-August 5, 2006 My heart dog – forever in my heart. A generous donation was made by friends at Lakewood Animal Health Center in loving memory of “Diesel” Bone….the beloved pet of Monte and Danette Bone. A generous donation was made by Carol Leiren in memory of our beloved Ming. A generous donation was made by Alex Malone in memory of Lillie. 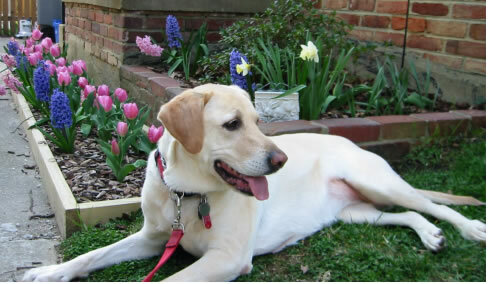 A generous donation was made by Mary Braun in honor of Filbert the beloved pet of Kelly Colllins and Eric Hill. A generous donation was made by Jon Greenfield in honor of Chloe. A generous donation was made by Todd Wilson in honor of Meshkin the Standard Poodle. 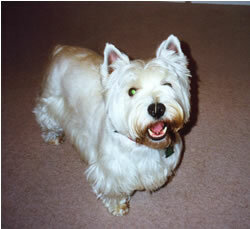 A generous donation was made by Janice Mix in honor of my wonderful sheltie Rosie who passed away on June 21, 2006. A generous donation was made by Richard Dwyer in honor of Hayley Hertel. A generous donation was made by Ann Compton in memory of Scruffy, our first Shetland Sheepdog, who we lost too soon one year ago today, August 29, 2005, to cancer. A generous donation was made by Stephanie Dressel on behalf of Sunny Kreigh & Stilts Dressel. A generous donation was made by Cindy Bodner wishing Rex well, we hope you get better, we love you, Aunt Cindy & Oliver. A generous donation was made by Sinclair Fuchs on behalf of AJ KATEY GABBY KIRA IVY. A generous donation was made by Jackie Langford in memory of Trina, White GSD, companion to Rosanne Lindholm. A generous donation was made by AASU Dental Hygiene Students in memory of Abby Edenfield, dear pet of Dr. Suzanne Edenfield. A generous donation was made by Katie Kelley on behalf of Ruby,our 3 year old rottweiler with lymphoma. A generous donation was made by Julie and Graham Louck’s friends in honor of FOOTS WOODROW BERNHARDT LOUCKS. A generous donation was made by Rae Ann Endlein on behalf of Our beloved Polo and Gatlin. And hoping a cure is found soon for our wonderful Mac. 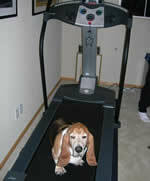 A generous donation was made by Carrie Wessel in memory of Buffy. 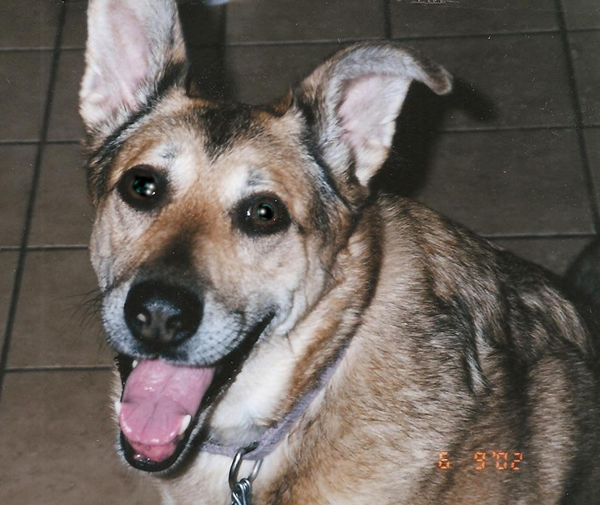 A generous donation was made by Katherine McCullough in memory of Delia, my heart dog – lost to IMHA. A generous donation was made by Julianne Corbin in memory of my beautiful Cecilia whose everlasting spirit lives on in my heart and is that ray of sunshine yet still….May you continue to touch the lives of other. Love forever, Mom..
A generous donation was made by Kristi Veronee in honor of Dakota. My brave girl fighting lymphoma. A generous donation was made by Yolanda Mc Peck in honor of Skinny Redell McPeck, lost to “hemangio sarcoma” in March of 2004. A generous donation was made by Pallu Rao in honor of Rio d’Oro. Read More about Rio. A generous donation was made by Wendy Tomimatsu in honor of Dreetsek. A generous donation was made by Mary C. Festante in honor of NUNZIO. A generous donation was made by Joni Lambert in honor of Jasmine Lambert. A generous donation was made by Joel Pierce in honor of Kali the miracle dog. A generous donation was made by Dawn Bennett in honor of Chelsea, Phoenix, and Journey. 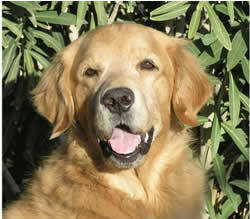 A generous donation was made by Gary & Susan Allison in memory of Thunder. A generous donation was made by Guy and Maureen Smith in honor the memories of Thunder. 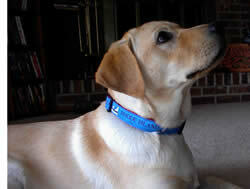 A generous donation was made by Debbie Lipely in honor the memories of Thunder. A generous donation was made by Tami Cutler in honor of Blue Jazz, the beautiful Siberian with bright blue eyes and my beloved Rottweiler, Reba. 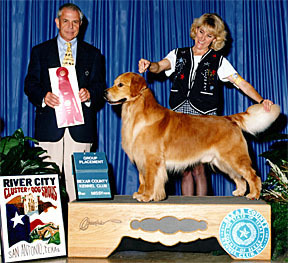 A generous donation was made by Gary & Susan Allison in memory of In Loving Memory of Tut Sept. 11, 1995 – Nov. 5, 2006 AM/Int/Mex CH Bronzeleaf Goldfevers Corona CGC, WC(2), RA, NJP, VC Tut lives forever in out hearts. A generous donation was made by Guy and Maureen Smith in honor the memories of Tut. A generous donation was made by Christina Strohm in honor of Cheyenne and Dakota. 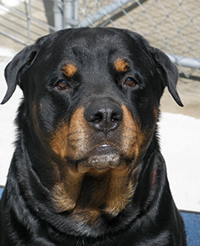 A generous donation was made by Ginger Wilson on behalf of “Ruger” my 10 year old Rottweiler, diagnosed November 2006. A generous donation was made by Erin Pavlock in memory of Sydney and Muffin and in honor of Chrissy, Annie, Misty, Bailey, Pumpkin, Hershey, Alpine, and Bella. A generous donation was made by Teri Tucek in honor of Babe. A generous donation was made by Shaker Brock in memory of Zacchaeus, Ekko and Nugget Brock and in honor of Moses Brock, Butter and Kimo Brock. 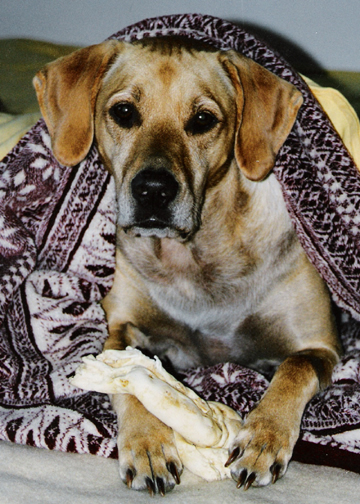 A generous donation was made by Desert Labrador Retriever Karen Aubert in memory of Murphy Brown, Gil and Jenn Smaby’s wonderful boy. A generous donation was made by Virginia Doane in honor of Mercy. 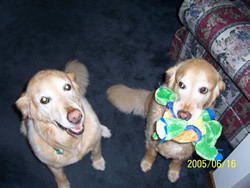 A generous donation was made by Beverly Lewnau in memory of my beloved Golden Retrievers Bunny and Dillon. Read More about Bunny and Dillon. 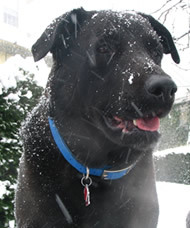 A generous donation was made by Laurie Larkin in memory of my beloved companion and therapy dog Max – lost very suddenly and unexpectedly to hermangiosarcoma on 5/15/06. 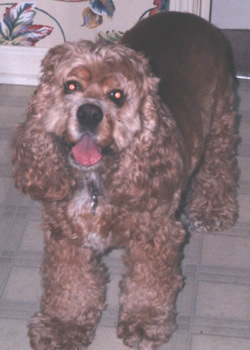 A generous donation was made by Lavonne Bonser in memory of Max. A generous donation was made by Tracie Earl in memory of Skylars Echo of Semper Fi “Echo” 9/9/04 – 4/26/06 Australian Shepherd. 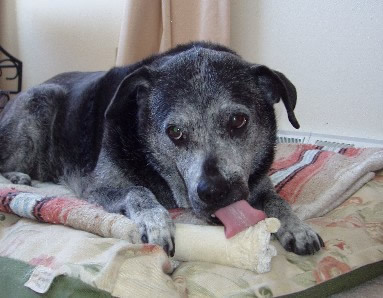 A generous donation was made by Gary and Sara Nice in memory of Striper. See more about Striper. A generous donation was made by Triangle Italian Greyhound Rescue in memory of Mandie, Sergio, Lily, and Peanut! 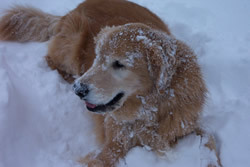 A generous donation was made by Laura Keosian in honor of Chloe, Princess of Belmont, my feisty, lovable Golden Retriever. A generous donation was made by Linda Jones in honor of Buddha. A generous donation was made by Ka Yee C Yau in memory of our beloved dog, Dragon. You will always be living in our hearts. A generous donation was made by Lauann Bonser in memory of Max the beloved dog of Laurie Bonser Larkin. 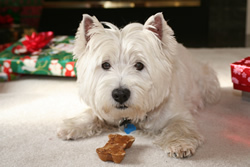 A generous donation was made by Carol Larkin in memory of Max the beloved dog of Laurie Bonser Larkin. 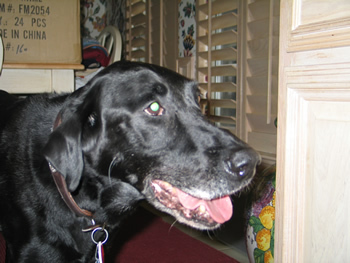 A generous donation was made by Eric Aslakson in honor of My dog Ben. A generous donation was made by Adrian Alday in honor of Sabrina and Nanuk. 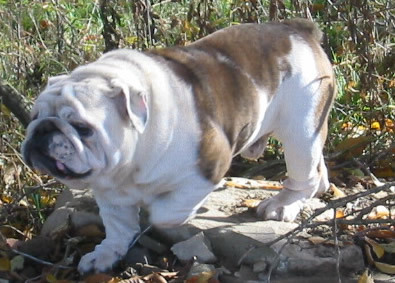 A generous donation was made by Nora Sykes in honor of Harper & Mercedes. A generous donation was made by Sarah Leonard in loving memory of Sampson Hagen. 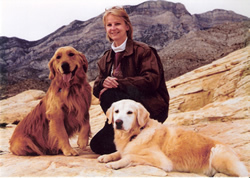 A generous donation was made by Cindy Weaver in memory of Conrad’s Logan Von Goldigger CD, CGC, TDI (1-3-1997/7-21-2006). A generous donation was made by Caren Taylor in memory of TaylorBay’s Hakuna Matata “Kula”. A generous donation was made by Lois Karlin in memory of For “Max”, the beloved of Laurie Larkin, who died of hermangiosarcoma on 5/15/06.